With the calming blue of a wide-open sky over an endless plain, Kingman turquoise is one of the most famous turquoise varieties available today. 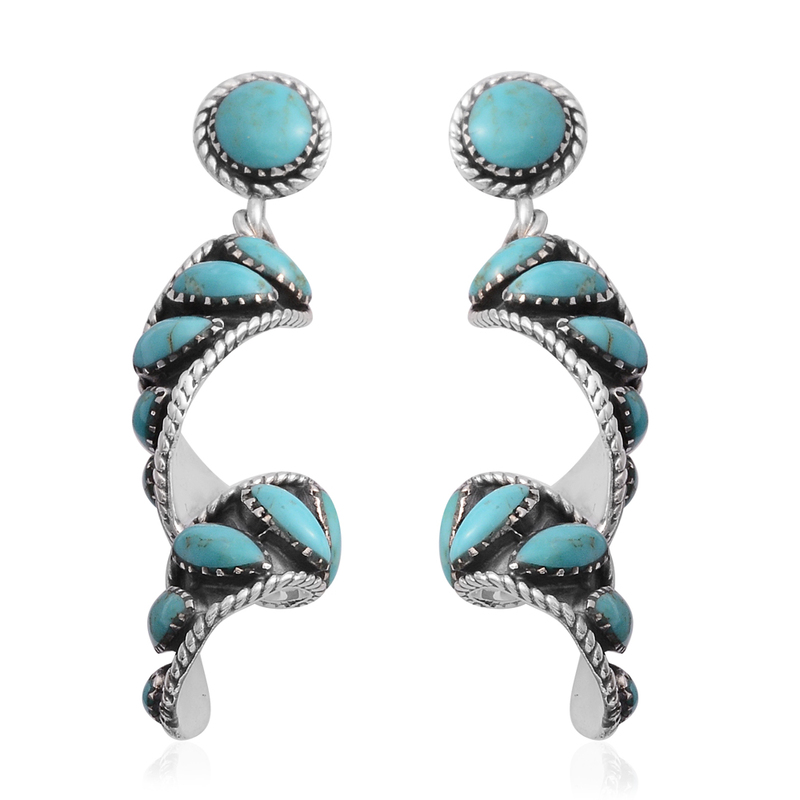 Turquoise is one of the most ancient gems whose popularity endures to this day. Though its influence may rise and fall over the years, it has never left public consciousness. Kingman turquoise is one of the most widely popular turquoise gemstones on the market today, having entered the market during the turquoise boom of the 1970’s. What Color is Kingman Turquoise? 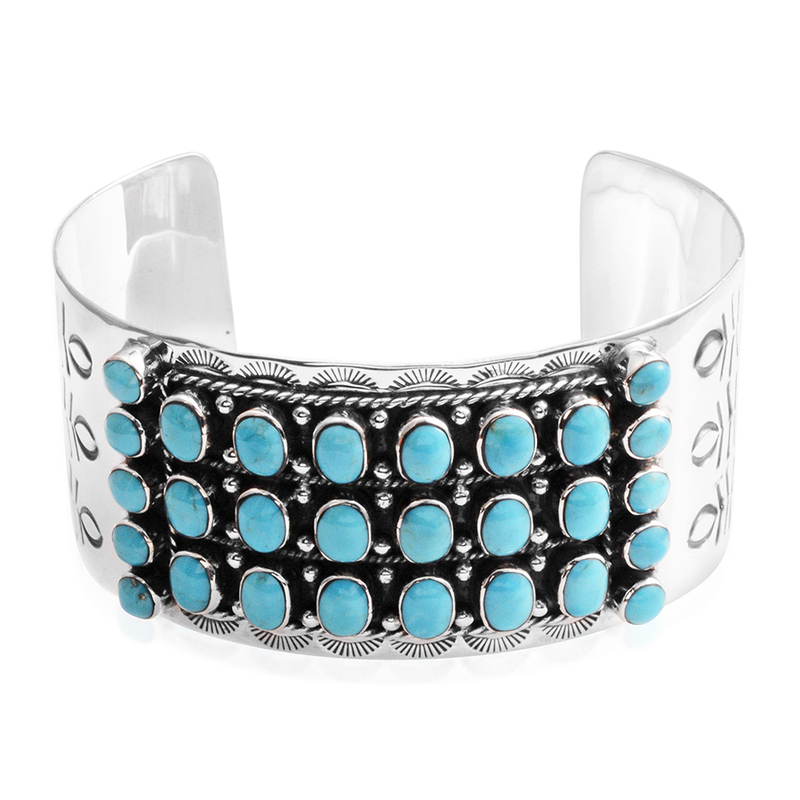 Kingman turquoise is best known for its gentle sky blue color. The presence of copper within the gem is what provides this delicate shade. Frequently seen in the stone is a white matrix, lending the stone a sometimes-mottled appearance which may look like spider webs. Occasionally, the gemstone occurs in other hues, including deeper blues and greens. Green turquoise develops when iron is present. The matrix of the stone may be reddish-brown, or black. The black matrix in Kingman turquoise is typically the result of dyeing. 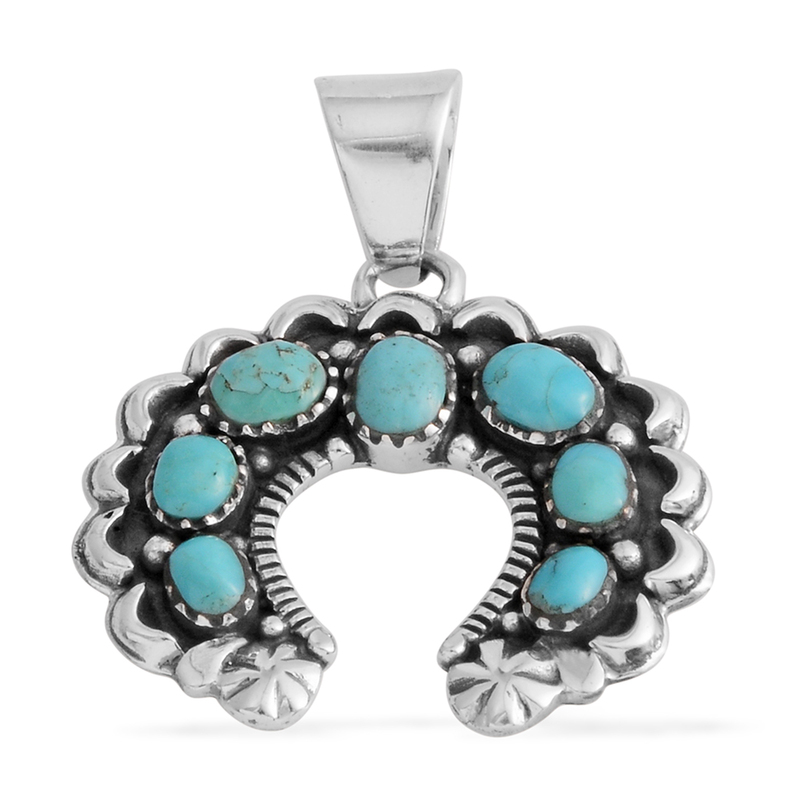 How is Kingman Turquoise Used in Jewelry? Kingman turquoise possesses a fair to good durability, and it’s typical to see the stone used in all manner of jewelry, including rings, pendants, bracelets and more. Ranking between five and six on the Mohs scale, Kingman turquoise is a little softer than quartzes such as amethyst and citrine. So, extra care is suggested when wearing turquoise jewelry. Polished turquoise is most often shaped into cabochons, though it can be carved for ornamental purposes. The majority of turquoise on the market today is treated. Kingman turquoise is most often stabilized. Stabilization is a method of making rough material more durable and easier to work. An epoxy or resin is soaked or injected into the rough stone. Once dry, it’s ready to cut. 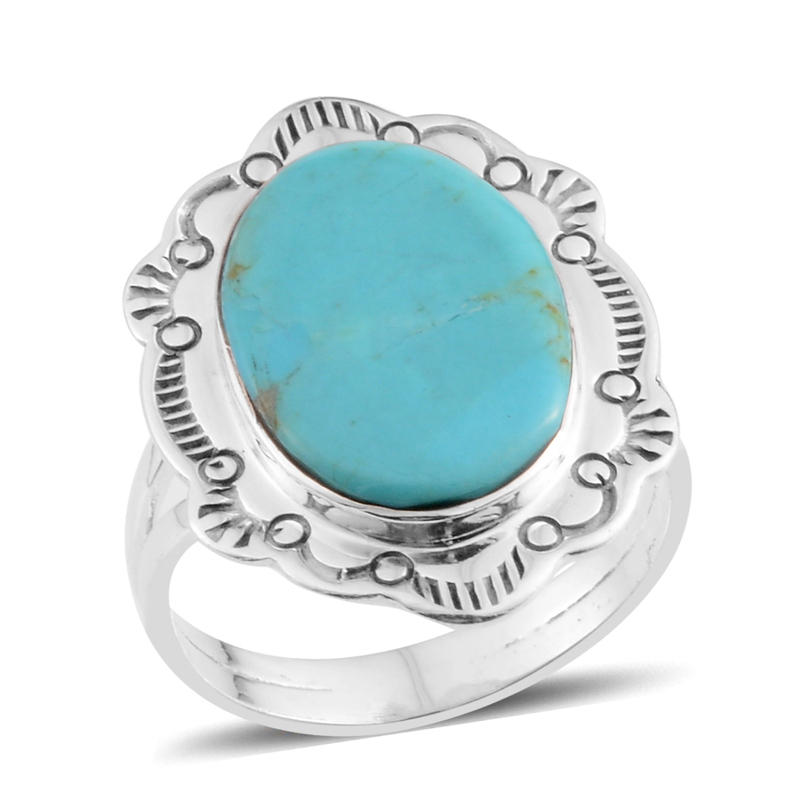 Stabilized turquoise is often smoother and more resistant to scratching, making turquoise treated this way a great option for daily wear jewelry such as rings. Kingman turquoise may also undergo the Zachery-process, a proprietary method of treating turquoise rough. Material treated by the Zachery-process is nearly undetectable without destroying the gem. Chemical analysis is the only reliable way to determine whether the process has been used or not. One of the few gemological investigations into the Zachery process was conducted by the Gemological Institute of America. Their analysis detected higher levels of potassium in treated turquoise. Treated stones are easier to polish and may even have slightly improved color! Being practically undetectable and improving the quality of the gem makes Zachery-treated turquoise the preferred treated turquoise in today’s market. 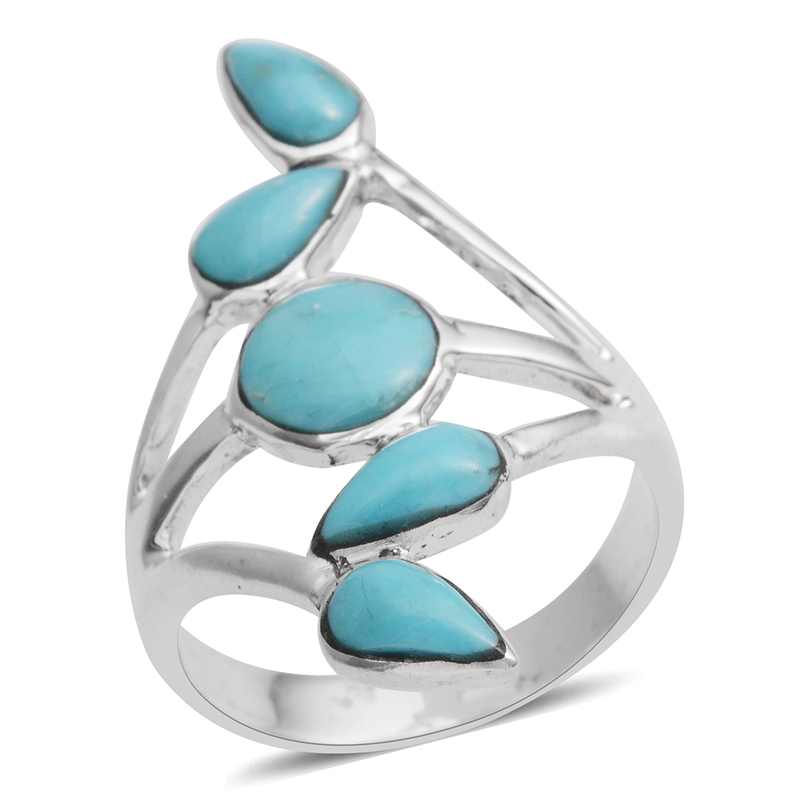 Already a long-established gemstone, the future of Kingman turquoise is secure for as long as it’s produced. With the ceasing of turquoise operations at the popular Sleeping Beauty Mine, many industry experts expect Kingman turquoise to grow in popularity as the representative turquoise gemstone. • Turquoise has been used in jewelry nearly as long as it’s been known to humanity. Turquoise is also used as a ceremonial or decorative stone, a practice dating back to ancient times. It’s been used in Native American crafts and jewelry for centuries. It was sacred to many tribes, including the Apache, Navajo, Pueblo, and Zuni, among others. • Often, turquoise jewelry would be used in funerary rights. The Pueblo deceased would be laid to rest with carved turquoise amulets in the shape of animals or other protective symbols. These objects would help in the transition to the afterlife and provide protection. Besides its protective power, turquoise is also considered a lucky stone, having drawn its color from the heavenly skies above. • Apache lore tells us that turquoise could be discovered on the ground, after a heavy rain, at the end of a rainbow. Turquoise is also thought to improve a hunter’s marksmanship. As a result, it would not be uncommon to find turquoise attached to bows or guns used by the Apache. • In Navajo culture, the four gods associated with rain-making are depicted wearing jewelry fashioned of coral and turquoise. It would also be used in rain-making rituals. In addition, the Whirlwind God is also represented with turquoise jewelry. Possessing a turquoise gem and offering it to a wind spirit would grant one the power over winds. Navajo beliefs explain that the wind blows as it is eternally searching for turquoise. • The Zuni held the blue of turquoise as a sacred color. It was associated with the heavens, eagles and the west. Fetish use is vital to Zuni traditions. A fetish is an object that houses a spirit and lends the power of that spirit to the bearer. Zuni fetishes were frequently adorned with turquoise in various ways to incorporates the gemstone’s power into the item. Is Kingman Turquoise a Birthstone? • Birthstones have been used since ancient times as a talisman. By the 15th century, it evolved into a popular tradition where a person would wear a gemstone associated with the month of their birth, especially among women. Turquoise is one of three December birthstones. Alongside tanzanite and zircon, turquoise provides a fun variety of stones with the chilly hue of an icy frost. • Before the formalization of the modern birthstone list in 1912, turquoise was associated with both June and July. This association can be traced back to at least the 1400s. Unlike many other birthstones, which often have an associated star sign, turquoise does not appear on the list of gems related to the tropical zodiac. How Did Kingman Turquoise Get Its Name? • Kingman turquoise is named for the city of Kingman, about 20 miles to the south of Mineral Park. Mineral Park slowly dwindled in popularity, eventually becoming one of the many ghost towns of the Southwest, as the newer settlement of Kingman laid along the vital Atlantic and Pacific Railroad line. It was simply cheaper for businesses to move their operations than to remain at Mineral Park. Despite this, several buildings from the old days of Mineral Park still stand. In addition, the Mineral Park cemetery is still on the mining property. The earliest deposits of turquoise were first found in Ancient Persia. Persian turquoise long set the standard for fine turquoise, possessing an even blue color with little matrix. Much of the turquoise today comes from China and the United States. Arizona is a particular hotbed of turquoise mining, producing several notable varieties of this gem, including Sleeping Beauty turquoise and Mojave turquoise. 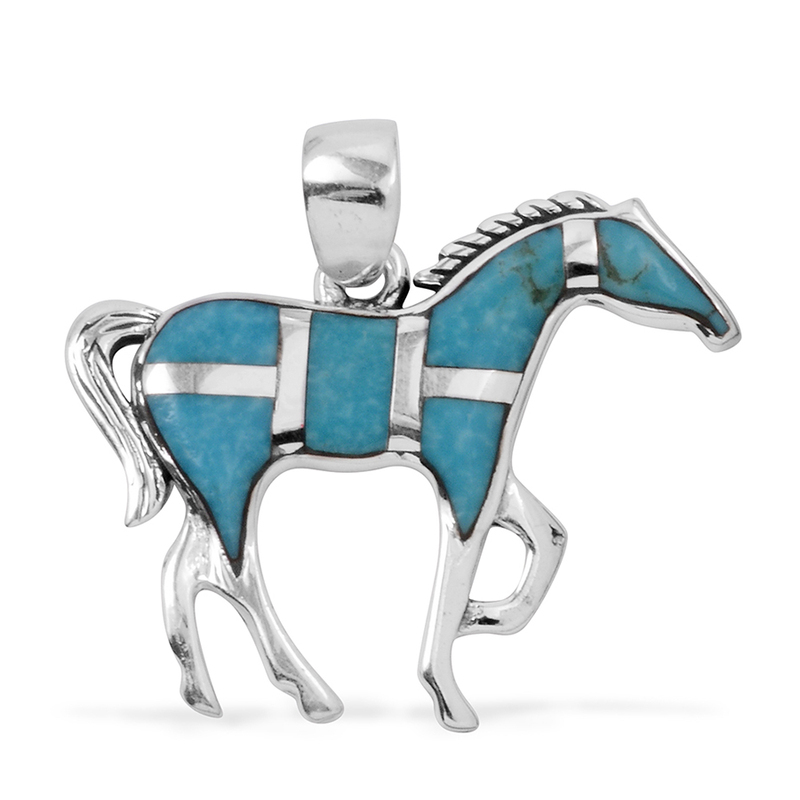 Kingman turquoise also comes from Arizona, sourced from the Kingman Mine located in the Cerbat Mountains. Kingman turquoise primarily occurs in three separate claims: Mineral Park, Ithaca Peak, and Turquoise Mine. Mineral Park is the only commercial source of Kingman turquoise today. For various reasons, production at the Ithaca Peak and Turquoise Mine claims have had sporadic production over the years. Today, neither claim is heavily worked, primarily due to cost. Fortune seekers rushed to the region in the 1860s after the discovery of gold and silver. Mineral Park began life as a boomtown in 1871. 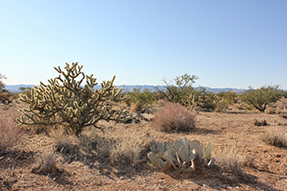 For a brief period, it was the most prosperous community in Mohave County and was quickly established as the county seat of government. Gold, silver, copper, lead, and zinc were the primary resources mined, though turquoise was popular even then. Early claims reflected the creative humor of the miners, including names such as Metallic Accident, Copperopolis, Ready Cash, Lucky Fraction, Emerald Isle, KeyStone, and The New Moon. Mineral Park has produced turquoise commercially since the late 19th century. Before this, it’s believed that Native Americans mined the location as early as 600 AD. Tools from both the Hohokam and Navajo have been found during excavations that took place in the late ‘60s. Archeologists think that early Native Americans extracted turquoise from host rock by heating the rock to a high temperature before dousing it with cool water. This would cause the rock to fracture and break, revealing the turquoise within. In modern times, mining processes are highly mechanized, needing a much smaller team to oversee operations compared to traditional methods. • Ranks 5 to 6 on the Mohs scale of hardness. • Kingman turquoise is light blue to dark blue in color, with a white matrix. • Sourced from the Kingman Mine in Mojave County, Arizona. 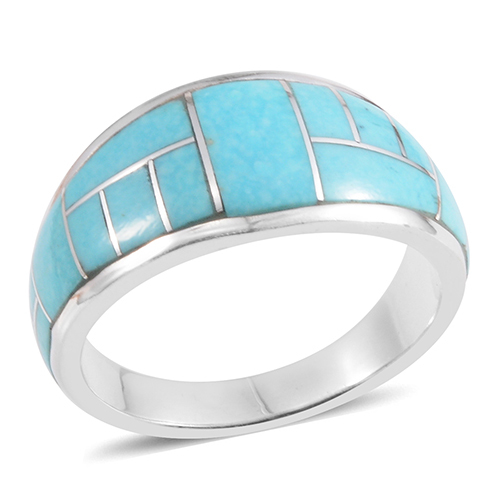 • Kingman turquoise is treated by the Zachery-process and stabilized through traditional means. Occasionally, the matrix may be dyed black. Easily one of the most famous turquoise varieties available today, Kingman turquoise is best known for its gentle blue color which is attributed to the presence of copper within the gem. Occasionally, this gemstone will carry other hues such as deeper blues and even greens when iron is present. Although earliest deposits of turquoise were first found in ancient Persia, much of today’s turquoise comes from China and the United States. Kingman turquoise, in particular, is sourced from the Kingman mine in Arizona, located in the Cerbat mountains. The majority of Kingman turquoise is treated, often stabilized to make the gem more durable and suitable for jewelry wear. With the seizing of turquoise operations at the popular Sleeping Beauty mine, many industry experts expect Kingman turquoise to become the obvious next choice as the must-have turquoise gemstone. I am gemmologist Becky Booker, and this is your gem minute featuring Kingman turquoise.